what do you mean ‘please revert back’? Great theme. Curious. Is there a way to customize the size of the featured images so they don’t automatically crop? Hey, is WordPress 5 compatible ?? PHP 7.3 ? The interface is suitable for news sites, will it be free when there are updates? I like it! I’d buy it, just tell me the difference on free and paid version please. no different, except paid version did not have the developer/contributor encoded links. will not have any effect on site performance but some users just don’t want to link out to other site hence the option to purchase the clean no link out version. Can I use this theme in free version before I upgrade to premium? I really like the layout and everything about it. Thanks and let me know. yes, but try not to do heavy customization on templates, use the theme options or customizer instead. so its easy to just upload and replace if you choose to upgrade to developer version later. Nice looking theme, pinterest style timeline is looking good with this theme. Can I use it well with woo commerce WordPress plugin? Though your instruction is clear enough, um not done yet. Most probably I missed something or more. Trying to solve. Thanks a lot for your contribution. Keep posting, looking forward to more from you. 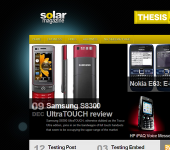 This theme is really good them for magazine blog. I love this theme so much. 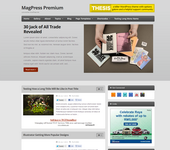 Hi MagPress! Very good job, bravo! Will you update this one (ComboMag and BoxZee) anytime soon? WP version reached 4.9 now. Best theme i have used so far…. 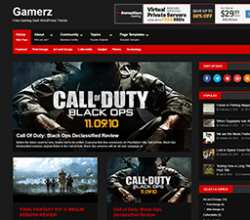 I want to use this theme for my website, only $37 compatible pricing for general people. I love you guys themes. I used 3 of them so far. i just see this website have many good artical.i will bookmark in the toolbox keep link.